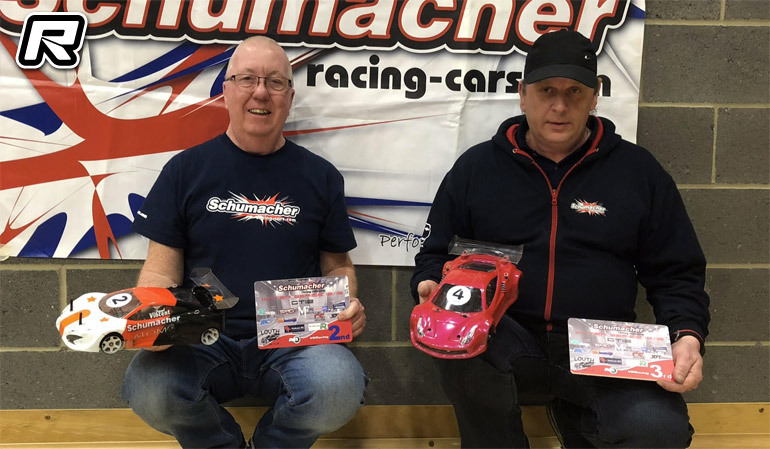 Round six and the final round of the Schumacher Winter Series presented by the Louth Radio Control Car Club took place this past weekend. 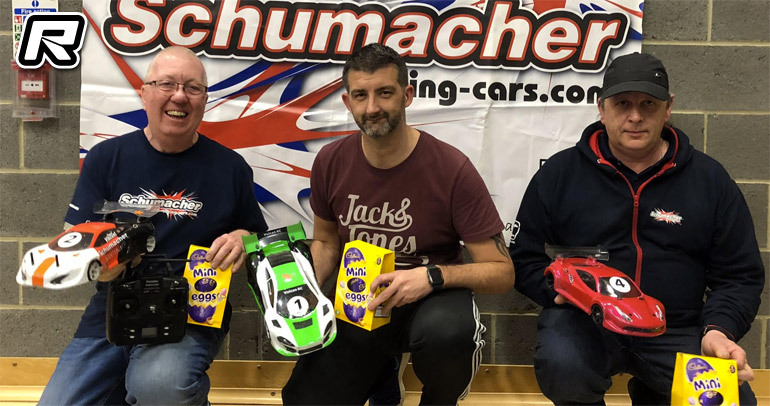 A strong entry of drivers would attend this meeting, drivers taking to the technical layout that the club had laid out, running the four classes of 13.5 Blinky, 17.5 boosted, GT12 and Tamiya Euro Truck. In 13.5 Blinky the qualifying would be very close for the top spot. Ricky Lee would continue his fine form at Louth by taking the top spot with his Awesomatix and with his TQ would secure his championship. Nathan Winyard would lead the Xray charge followed by Chris Lovely and Andrew Green. Kyle would show well in front of Daniel Burks, the Capricorn of Mikey Mansell and 17.5 champion Jason Lovely would make up the A final. 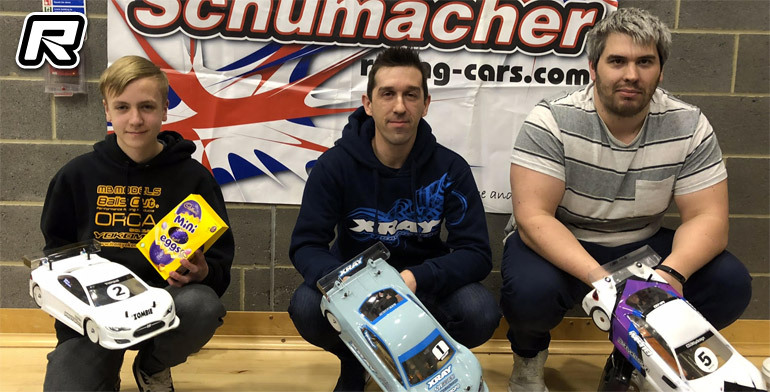 In Tamiya Euro Truck pace setter and champion elect Mitch Fiddling would return at the meeting. 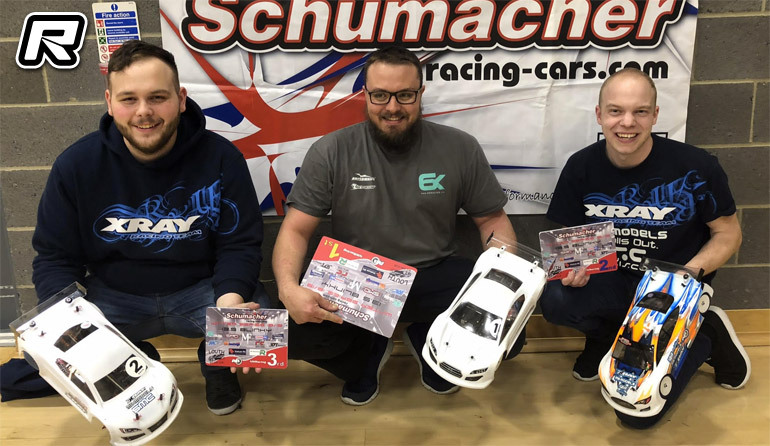 Mitch would set the pace for the rest to follow, Debutant Daniel Burks would show form in his second outing in 2nd, Jason Lovely would have to settle for 3rd, with Michael Burks, Richard Howells, Chris Chapman, Ed Turrell and returning John Yarnell rounding out the qualifying. Seven GT12 cars would take to the track to fight out for the bragging rights. A strong performance for Shane Dye would show dividends taking the top spot, Paul Vincent a strong 2nd, with Lee Ward in touching distance. Chris Sleaford, Steve Dye, Jerry Booth and Sean Cohen. In 17.5 Stewart McLeod would hold his nerve and set off with a blistering pace to put a buffer between himself and the field, and would hold onto this to see a tone to flag victory. 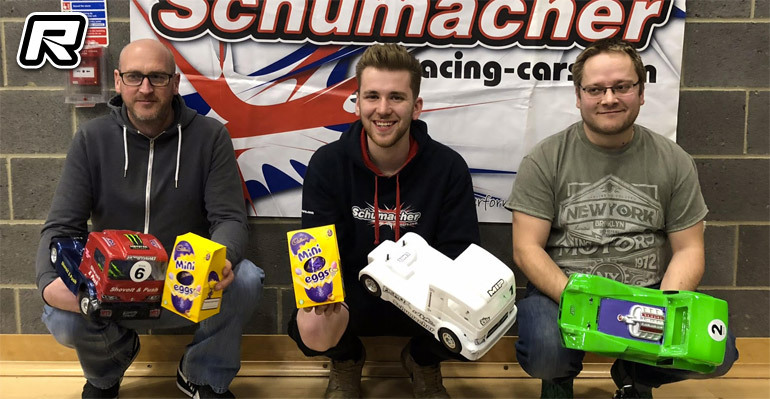 Callum Chapman would hold onto 2nd showing pace and setting the fastest lap along the way. The battle for the final spot on the podium was a lonely one for outgoing champion Andrew Babb . Brett Gardner would be strong in 4th ahead of young talent Warren Frith, Harvey Greenfield and Steve Dye rounding out this final. A class so close on Speed, Tamiya Euro Truck was anyone’s guess to see who would win. Mitch Fiddling would checkout early on and leave the rest of field to battle. Dan Burks would consolidate 2nd, Chris Chapman would come through the field to a solid 3rd. Jason Lovely would settle for 3rd Just ahead of debutant Michael Burks, Richard Howells would bring home 6th, no repeat podium for Ed Turrell, John Yarnell in 8th and Harvey Greenfield bringing the field home. GT12 offered six minutes of hot action on track. Shane Dye would gap the field with a fast pace gapping the field early , putting laps on the field to take the flag. Paul Vincent would hold 2nd, chris Sleaford having a strong run to 3rd. Steve Dye would be the last of the of the runners with retirements to Lee Ward and Jerry Booth. 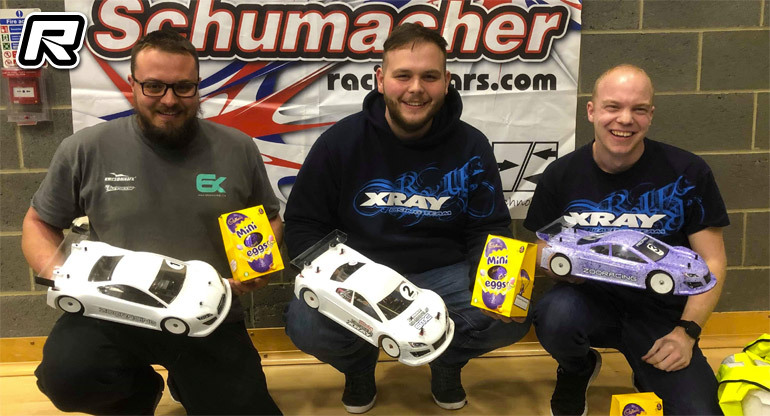 Ricky Lee would take the 13.5 championship on his debut year from the Xray duo of Chris Lovely 2nd and Nathan Winyard. Jason Lovely would take a dominant win in the 17.5 class, with a 400 points haul. Stewart McLeod would seal his 2nd with strong runs in the last two meetings, and Steve Tindall would hold 3rd with enough rounds to qualify. 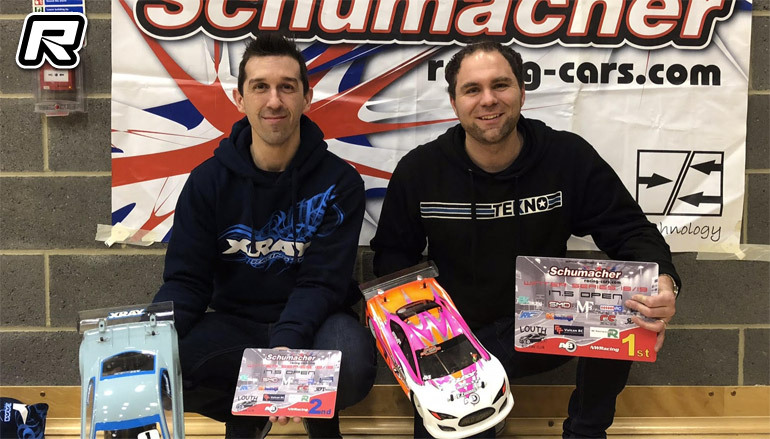 Mitch Fiddling would take a dominant win in the Tamiya euro truck class, Jason Lovely would be his closest rival all series and take 2nd in the championship. Tom Hardy would bring home 3rd. Russell Woodhouse would bring home the championship win with winning the four rounds he has entered with his zen Racing chassis. 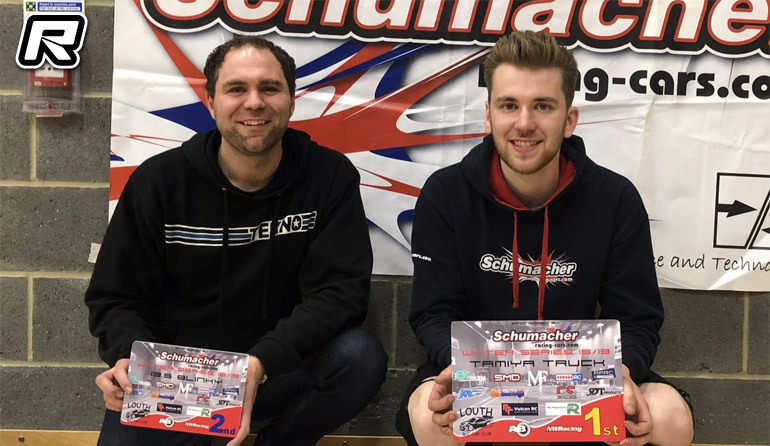 Schumacher duo Paul Vincent and Chris Sleaford would bring home 2nd and 3rd in the championship. 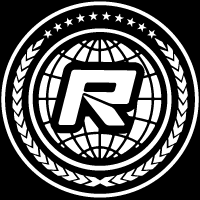 That rounds out the championship, and the club would like to thank all the sponsors for their support and all the drivers for travelling to the events. The club will continue with a summer series, before preparations for next seasons winter series.